Jay has been a DJ/Entertainer for 11 years now. Growing up in a family with a rich music background, Jay realized a long time ago that performing was in his genes. 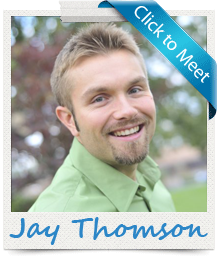 With a Bachelor degree in Theatre from Ramapo College and a passion for show, Jay truly understands the meaning of being a “weekend warrior.” Elite Entertainment, one of the wedding industry leaders has been his home for over a decade. Now with BrideLive, Jay brings his expertise in the wedding community to help all in the industry take their businesses to new and exciting heights. “BrideLive will give our clients an experience that’s not only fun, but informative and convenient. My mentor Mike Walter is to thank for giving me inspiration and support all these years. Thank You”. Bob has had a very successful career in the field of entertainment as a vocalist. His extensive training and experience has allowed him to perform at a number of venues including Yankee Stadium, Patriot’s Field and Sardi’s in Manhattan. As the owner of Musicality Entertainment, Bob has been living it up as a DJ/MC for the past 10 years and has provided extraordinary entertainment for over 1000 events, as well as trained some of the best entertainers in the Tri-State Area. Bob holds a degree in Computer Science from Anthem University, in which he now serves on the Board of Education. 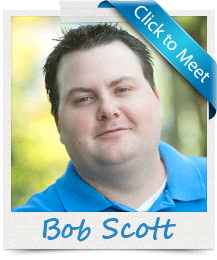 Over the past 5 years he has worked with numerous industries to help improve workflow through technology. Drawing on his impressive career as an entertainer and his background in technology, Bob co-founded BrideLive in April 2011. With BrideLive, Bob combines his love for technology and the event industry by showing like-minded professionals how easy it is to stay on the frontline of communication with clients. 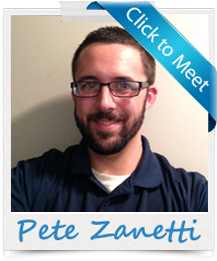 Pete earned his degree in Business Administration from DeVry University. He is an outstanding and devoted Sales Associate, with customer satisfaction being his number one priority at Bridelive. In addition, he is an incredibly talented and experienced drummer, playing most of his life, and now headlining though out the Tri-State Area in Nine Deeez Nite “ THE TRIBUTE TO THE 90’s ” . Pete has been involved in the Wedding and Event industry as a performer as well as behind the scenes for over 15 years. 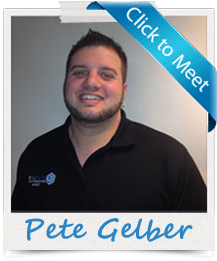 From Event Coordinators, to Entertainment companies, Pete’s Expertise makes him the perfect fit at BrideLive. Peter is a technical-minded individual with years of experience in e-commerce, web design, computer science and software development. His area of specialty is in Mac and iOS technical support and training, and works with many of BrideLive's Mac-using clients. The ability to troubleshoot and provide personal & convenient technical support for a wide range of users makes him a great asset to BrideLive. Peter has also performed as an Emcee & DJ for Elite Entertainment for 8 years, and immediately recognized the importance of BrideLive for his industry.